ULI Philadelphia, in conjunction with PennPraxis, received a national grant to study the Grays Ferry corridor from Washington Avenue to Woodland Avenue.The Healthy Corridors Phase II Grant was awarded by The Urban Land Institute (ULI)’s Global organization through funds received from the Robert Wood Johnson Foundation and the Colorado Health Foundation. The Leadership team for this project includes the Public Health Management Corporation, PIDC, University of Pennsylvania, University of the Sciences and ULI Philadelphia. The Building Healthy Corridor Phase II projects builds on four healthy corridor projects completed across the country in previous years and will leverage experts as well as assessment tools and best practices to support the define approaches for creating a holistically healthy corridor.The announcement of this grant comes on the heels of the University of Pennsylvania receiving a ULI Willard G. “Bill” Rouse III Award for Excellence for the development of the Pennovation Center, its innovation campus. The corridor that will be studied connects this project to looming residential and commercial development from the east. In addition, the surrounding neighborhood is among the most health-challenged parts of Philadelphia and the region with high percentages of diabetes, asthma, disabilities, and low access to healthy foods and active lifestyles. Corridor redevelopment is not a new topic. Various planning and design approaches—such as complete streets, living streets, and great streets—aim to redevelop commercial corridors to meet more of their users’ needs. 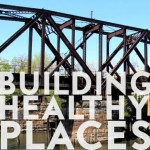 The healthy corridors approach considers how the corridor contributes to the overall health of the surrounding community, including strengthening connections to city resources, and providing opportunities to be physically active. It also considers safety, housing affordability, transportation options, environmental sustainability, and social cohesion, as well as leveraging local assets to promote job growth and economic opportunities for local residents. The Local Leadership Group and planning workshops will be Chaired by Julie Donofrio, ULI Philadelphia member and Managing Director at PennPraxis, the University of Pennsylvania School of Design’s center for applied research, outreach and practice. The University of Pennsylvania is providing an in-kind match to the ULI funds. The Leadership Group will convene local stakeholders for a one-day planning review of data, existing plans and discussion about focus areas and challenges in late July. This fall, a National Advisory Workshop will bring outside experts focused on the questions facing the corridor, ending in public presentation of recommendations and a feature in ULI Global Content.